Compostable dish brushes are pricier than their disposable plastic alternatives, but we use ours for so many things that the cost seems like it must be pennies by the time they (finally) end up in the compost. They begin their reigns cheery and new in a jar by the kitchen sink, and then slowly migrate to other areas of the house as the bristles wear down and the wood starts to turn a darker brown. Prior to banishing the brushes from the kitchen for use elsewhere, I like to clean them well to make sure that they don’t just end up spreading kitchen dirt around. To clean them, I boil a large pot of water and let the brushes float in it for five or so minutes to sterilize them; you could also add a cup of white vinegar to the mixture for an added anti-microbial boost. -Good for: Everything. The dish brush I reach for nine times out of ten, its shape is perfect for cleaning jars and bowls and glasses and pots and plates and, well, everything. If I could only keep one dish brush, this would be it. (And it would perform admirably). -Reuse as: A toilet brush. You can buy a specific wooden toilet brush, of course, but it will be shaped almost exactly like this one. We like to save ourselves the trouble (and the forty bucks) and just clean and reuse an old kitchen brush. -Good for: Cleaning flat surfaces, like plates, forks, and pans. Additionally, you can replace the head without replacing the whole brush, making it a more economical (and low-waste) option for those who foresee regular replacements. -Reuse as: A cleaning tool. We’ve marked one as “cleaning” and store it in the cabinet underneath the sink; it’s shape is just right for scouring grosser spots, like the kitchen sink at the end of the week. -Good for: Scrubbing the dirt from hardy root veggies, like potatoes, sweet potatoes, and parsnips. -Reuse as: A tub scrubber. Mark “Tub,” store in your bathroom cabinet, and never buy a plastic scrub thingy again. -Good for: Cleaning cast iron pans, and giving stains on pots and pans a really (really) tough scour. -Reuse as: Frankly, I’m not sure! The super-stiff bristles don’t call to mind other uses. If you’ve got ideas, I’d love to hear them. Other favorite compostable brushes / reuse ideas to share? When you’re your own dishwasher, you get picky about the tools you use. Round wooden bottle brush: the best for cleaning anything, pots or not. Small wooden pot scrubber: too stiff for other uses, it only comes out to clean the cast iron pan. Like choosing compostable wooden brushes over plastic ones, our choice of dish soap is one where we’ve also looked for a more sustainable alternative than those packaged in single-use plastic bottles. In the absence of options available locally in bulk, for several years now we’ve relied on dish soap from Fillaree, which is shipped to us in a durable plastic bottle that we wash and return for reuse. Fillaree is based in North Carolina and run by my kind and hard-working friend Alyssa; she and her team hand-make small batches of their bulk, non-toxic cleaning and bath supplies at their Durham storefront. Products are mild and unscented, or scented using only essential oils. Fillaree stocks local refill stations throughout the country (see if there’s one near you here), and they recently launched a new subscription offering to make it easy to purchase their bulk offerings even if you don’t live nearby one of their refill locations. We can vouch for the Clean Plate Dish Soap, which is the sudsiest we’ve ever tried. (It’s sooo good). I also like that it’s not thick and gloopy, so it easily flows out of a metal pour spout. -Pick your products. 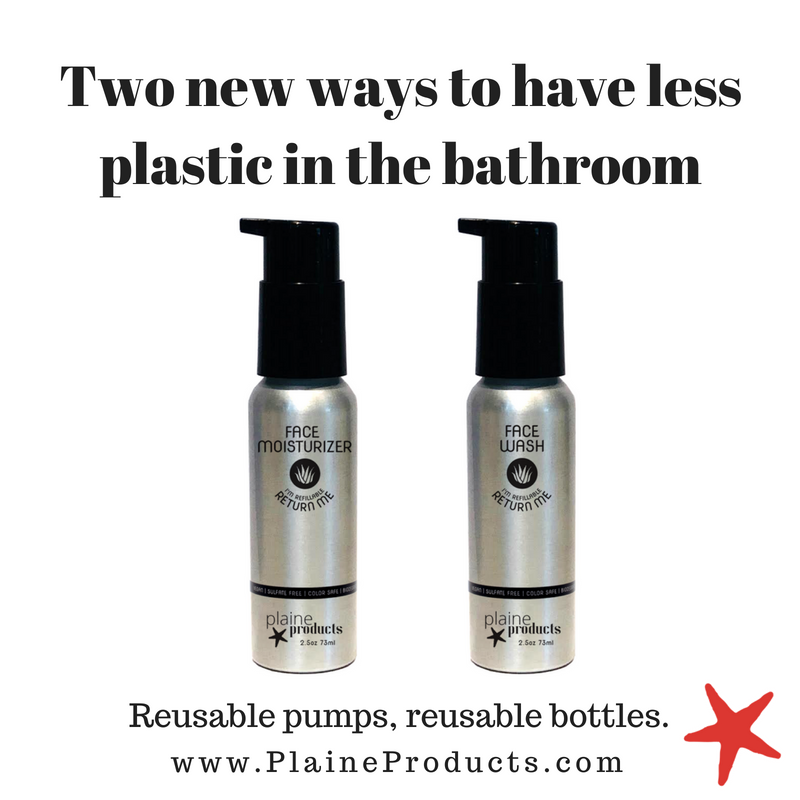 Fillaree offers a hand and body soap, dish soap, and all-purpose cleaning spray. If you want to test one out before committing to a subscription, you can first purchase a glass bottle of any of the products to make sure you like it. Right now, we’re just signed up for the dish soap subscription, as we use bar soap instead of pump soap for our hands and in the shower, and we make our own all-purpose cleaning spray too. -Pick your time frame. Though you can always change the time between deliveries to suit, select one to start out with. Alyssa recommends starting out with a delivery every three months, but I chose a six-month window since I know that’s closer to how often I need to replace my dish soap. When we receive our soap in the mail, we decant it into a clean glass bottle with a pour spout, then rinse out the container and let it dry before popping it back in the envelope it came in, slapping on the pre-printed label, and sending it back to Alyssa and the Fillaree crew. They reuse the shipping materials for as long as possible before recycling or composting them at their storefront. The only trash on mine was the backing from the sticker, which they request that you mail back to them along with your empty bottle - they don't currently have a way to recycle the sticker backing, but are collecting and keeping them all in the hopes of being able to find a solution soon! (What a commitment to circular systems!). When you send the empty container back, you’ll get an $8 coupon code to apply to your next subscription. We’ve found our soap lasts a long time – it’s concentrated and a little bit goes a long way, so a bi-annual delivery is just right for us. If you’d like to try out a Fillaree subscription for yourself, you can take $8 off your first month with code GOLITTERLESS. When I last wrote about making a simple cleaning spray from vinegar, I had only tried scenting it with citrus peels, but ruminated on what other types of good-smelling things might also be interesting to experiment with. So today, in partnership with Intelligent Lids, I'm sharing a bunch of variations on the theme: pine, eucalyptus, grapefruit. If you love a good project and to have your fingers smelling like lemon peel, this might be right up your alley. For this batch, I wanted to test out a bunch of my favorite scents, rather than sticking with my standard go-to of lemon-peel-infused vinegar. In addition to the white vinegar base, I chose fresh eucalyptus (purchased without a plastic wrapping at a local florist), a few sprigs of pine needles (plucked from a tree in my neighborhood), and imperfect lemons, oranges, and grapefruits from my weekly Imperfect Produce box. I also rinsed and dried five glass jars and five jar lids from Intelligent Lids, a Seattle-based businesses that makes lids for standard and wide-mouth jars from recycled plastic that is food-safe and BPA-free. Though most of the jars in my pantry are topped with the more-typical metal lids sold with jars, those metal lids often rust if they're in a moist environment (fridge, bathroom) or if the jar is holding something corrosive (like vinegar). Having a stack of plastic lids is, for me, an essential back-up, and means I can store vinegar in a glass jar without worrying about using it up quickly before the lid rusts. Their lids are also recyclable, though they're intended to be so long-lasting that the hope is you'll have them for years and years. Step two: Fill jars with your ingredients. After washing and drying everything thoroughly, I added the citrus and greens to the glass jars. For the pine needles and eucalyptus, all I needed to do was snip them down to size and pop the springs in the jars. For the citrus, I used a peeler to remove just the outer rind, taking care not to get much of the white pith. The fruits are still edible after this, of course, but will go bad more quickly without their peels, so store them in the fridge and try to eat them within a day or two. Or, do this project when you already have some citrus fruits on hand and want to use the peels again prior to composting them. Step 3: Fill the jars with white vinegar. White vinegar - the cheap, harsh stuff used for cleaning or canning and not for salads - isn't sold near me in bulk anywhere, so I vacillate between buying it in a huge plastic jug or a smaller glass jar, never knowing which is the more eco-friendly choice. (Right now, I'm leaning toward the plastic jug since it's so much larger and lighter. Thoughts?). Anyway: fill those jars almost to the tippy-top, and gently agitate to get out any air bubbles at the bottom. Step 4: Seal the jars, and wait a week (or longer). Pop on your lids of choice (mine are these), and set the jars aside somewhere out of the sun to steep for at least a week, or maybe longer if you have the patience. The vinegar inside should start to take on some of the tint of its contents, especially in the case of the citrus. Once your patience has elapsed (or you run out of your current stash of cleaning supplies), use a strainer or tongs to remove all the bits and pieces until only the vinegar remains; the rest can be composted. For the cleaning spray itself, decant the vinegar into a spray bottle (here's how you can make your own). I sometimes dilute it with a little water, and sometimes I leave it full strength. If you have countertops or surfaces that are a little more precious, make sure to double check that you can use this on them before going full steam ahead. Otherwise, I spray this on my stovetop, in the sink, in the bathtub, everywhere. And the verdict, scent-wise: I liked all of the results except for the pine needles, which turned a yellow-green shade reminiscent of dill pickles. And though eucalyptus is one of my favorite scents, it didn't impart its smell to the vinegar strongly enough to make it worth the while, I think. For now, I'll be sticking with citrus peels, but even those I'm curious about mixing and matching to get new scents. Other things you add to cleaning vinegar? Questions I can answer about this DIY? This post is sponsored by Intelligent Lids, creators of Made-in-the-USA recycled and recyclable mason jar lids. Thank you so much for supporting Litterless. Some zero waste changes are easy to make: swap a compostable bamboo toothbrush for your plastic one, done. Others require years of trial and error to figure out just exactly how that new routine is gonna work well. What I use to clean my house is one of those that's ever-evolving, but seeing as I've finally (almost) nailed one aspect of it, I thought I'd share: how I've made cleaning with cloths work for me. -Invest in cloths of different colors. Or textures or sizes or patterns or something distinguishing. Basically, anything to reassure you that the cloth you used to wipe off the seat of your toilet is not the same one that turns around the next week and gets used on the kitchen counter. I use the white washcloths for wiping down dust (etc.) around the house, the light yellow washcloths for washing my face and other cosmetic-y things, bright yellow washcloths for cleaning in the bathroom (not pictured: but they are so hideous I don't mind subjecting them to the dirtiest of tasks), and the dark gray washcloths for cleaning the kitchen. You probably don't need four colors: I bet three would do. One for kitchen and home, one for face and body and kiddos, and one for cleaning the bathroom. -Make sure you have enough. I only recently upped my stock of kitchen washcloths and that, more than anything, has been the biggest game changer. Prior to, I had a limited number of cleaning rags for the kitchen, and so I'd use each too many times before throwing it in the laundry. I never want to feel like my ability to wipe off a counter that sorely needs it is limited by the number of clean washcloths left in the stack; so over-purchasing new ones means that my kitchen is actually substantially cleaner than before. -Keep different laundry piles. (Maybe). This is a preference thing, but I like to keep my dirty cleaning cloths separate from clothing and in some cases, each other. I keep a few small bags on top of my laundry basket, where I stash the used cloths of varying kinds once they're dry. This helps keep them separate both in the pile and in the wash.
-Wash them in hot water. Naturally. 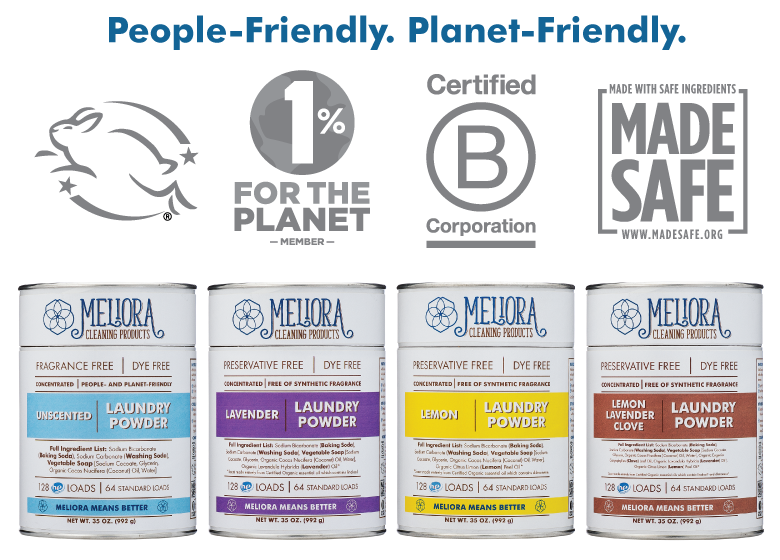 -A few zero waste companies make specific "un-paper" towels. (Something like this). Have you ever used these? I'm not sure if they're different or better than typical washcloths, but I'm thinking of picking up a set to give them a try. -Rags work too, cut-up old t-shirts and what-have-you. I didn't have enough t-shirts to cut up for this purpose and I like the plush absorby-ness of washcloths, but using old fabric scraps cut into nice big rectangles is probably the more zero waste option than buying something new. You could still color-code the uses, of course: setting aside white t-shirts for the kitchen, blue t-shirts for the bathroom, etc. -Rags are also helpful to keep around for disaster tasks: when a bottle of oil spills in the kitchen (?!?! ), when your kid does something particularly untoward, when you find some mold in the back of your fridge. Though washcloths don't feel particularly precious, it doesn't feel right to ruin something that can last for a long time; I like to keep some rags handy just in case. -If you find you still need paper towels for certain specific tasks, look for rolls packaged in paper rather than plastic-wrapped. You may be able to find them at a local grocery, or you could try out this set. (It's a box of six, so good to split with a friend if you don't anticipate using that many!). Do you still use paper towels for certain things? Other tips for us cloth cleaners? Previously in Green Clean: A DIY cleaning spray, and something to keep the moths away. I know the contents of that bottle don't exactly look like something you'd want to clean with. Rest assured, though, that it's just water and vinegar scented with citrus peels. Before trying this out, I was skeptical that something so simple could clean well enough, but it's pretty magical (try it once on your stove and you'll be hooked forever). I now use it for everything - cleaning my stove, countertops, sinks, floors, windows, and bathroom. As a bonus, the spray is completely non-toxic. Even the supposedly non-toxic store-bought cleaning spray that I used to use made me cough, which was a little sobering. This, on the other hand, is so safe that you could put on your salad (though admittedly, that sounds kind of gross). Read on for the how-to, and to share how you use a spray like this in the comments! -A jar or other wide-mouthed container of white vinegar. You can decant it from a larger bottle of white vinegar, or check here to see if it's available in bulk near you. Also, I've found that I like to choose a jar with a plastic lid (so, maybe save something like an old mayonnaise jar for this purpose! ), which won't rust like standard mason jar lids, even during prolonged contact with vinegar. -Spray nozzle and bottle. You can purchase these together (a la this), but mine are from an old vinegar bottle with the label removed and a spray cap from an old, store-bought cleaning spray. If you're making your own spray bottle rather than buying one, try a few bottles with your spray cap until you find one that fits, and then trim the bottom of the plastic stem down to size. -Peel of 2 - 3 citrus fruits of your choice. I've used lemon, lime, and clementine, but you could also try grapefruit, Meyer lemon, or whatever else you have on hand (more ideas below!). I love that these peels can get another use before ending up in the compost. Well, now, that's the easy part. Remove the white pith from citrus peels so that only the colorful part of the peel remains. Add them to a jar along with undiluted white vinegar, and let them soak in the jar for about a week or until the vinegar smells slightly citrusy. Strain out the peels and fill the spray bottle halfway with vinegar. Fill the rest of the spray bottle with water, and leave the remaining vinegar in the jar sans peels until you need to top off the spray bottle. For cleaning, simply spray the mixture as you would any other cleaning spray! It's best if you spray it onto the surface and then give it a few minutes to work its magic before wiping it off. I use it to mop my floors, wipe down my countertops, and clean my stove, where it works like a charm on any baked-on messes. You can also change up the items you soak in vinegar to try different scents. I've thought it might be fun to choose new ingredients each season: soaking pine needles in December, for instance, grapefruit peel in January, lemon in the summer. Just make sure to use things that don't decompose quickly - I imagine strawberries, for instance, would quickly start to look not so appealing. Cleaning with vinegar, it's a magical thing. Would love to hear your variations on this spray - and are there any ways that I should be using it that I haven't thought of yet?